Turning Vision Into Action: The Secret To Homework: It's Independent Practice! 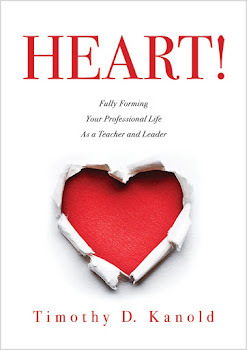 I loved the article from CathyVatterott in Educational leadership this month! Just what we need to know: By using homework for practice in self-assessment and complex thinking skills, we can put students in charge of the learning process. In my discipline – Mathematics - No more p. 238 5-57 the odds for assignments, no more 32 “drill and kill’ math worksheets, no more 90 minute homework assignments, no more going over homework the next day for 25 minutes of class, no more assigning homework at the last minute, no more students not knowing the answers and being able to check your work as you practice, no more homework filled with only lower level cognitive demand tasks! Homework will be worthy of our students’ best efforts? Right? Is homework really an essential element to the process of student learning? The short answer is yes. But the best protocols to follow for homework are not quite as clear. 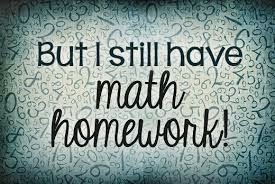 Mathematics homework is an area that often lacks clarity, purpose and certainty for your students, your parents, your schools’ intervention support personnel, and most importantly for you. Your team asks, “Why do we give students homework? What is the purpose of homework? Why won’t students do their homework? Why do we spend so much time going over homework in class? Why is homework assigned for a grade?” The very idea of homework, and what to do with it is often a conundrum for you, your team and for your students. Here is what we do know: The assignment of homework can no longer be a superficial exercise for you or your team. My colleagues and I now think the “homework” you assign students, as well as the way you think about homework as an in-class activity is one of the most important team discussions you can have, for agreement, before the unit begins. Research does indicate that homework can be helpful in improving student achievement if implemented correctly (Cooper, 2008). Practice is important, but not without first developing student understanding in class. Research also supports the idea of spaced (sometimes called distributed or spiral) vs. massed homework practice during the unit of study (Hattie, 2012) as having a significant impact on student learning. That is, provide homework assignment (practice) tasks that are spaced throughout the unit, allowing your students to cycle back and perform distributed practice on prior learning standards, including those learned earlier in the unit, previous units, or possibly the previous grade level. 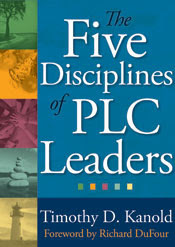 As each teacher on your team begins to honor teaching to the same set of essential learning standards and designing high quality common assessments for your grade level or course, then it is a natural outcome that the nature of independent practice for student learning outside of class (homework) would be designed from the same core set of problems for each student, no matter the assignment of teacher for the grade level or course. This spring you can and should use the questions in the Collaborative Homework Assignment Protocol Discussion tool to help you and your team develops a better understanding of the purpose, the content and the expected protocols for the units’ homework assignments. Think of it as a sort of spring-cleaning of your current homework habits. Directions: Work with your course level collaborative team to develop unit by-unit homework protocols for your course level. 1. Why do we assign homework for the lessons of each unit? What is the fundamental purpose of homework? 2. What is the proper number of practice problems (mathematical tasks) for daily homework assigned during the unit? 3. What is the proper rigor (cognitive demand expectations) of the practice problems (mathematical tasks) for homework assigned during the unit? 4. What is the proper distribution of practice problems or tasks for homework to ensure spaced practice for our students? 5. How do our daily homework assignments align to the expectations of the essential learning standards for the unit? How do the students know this to be true? 6. What steps shall we take to identify the homework (independent practice to be assigned and how will we communicate the assignments to students/parents/support staff? How will we reach consensus on all unit homework assignments? How do we ensure coherence across the team to the student learning and practice expectations? 8. How will we “go over”, in class, the homework practice that is assigned to our students during the unit? 9. How will we communicate the Common Unit Homework Assignments to the students, parents and support staff, before the unit begins? Mathematics homework should be a formative learning activity, i.e. an opportunity to obtain independent feedback and improve learning. Think: Primary purpose of mathematics homework is independent practice. More importantly, successful independent practice. That is, students must understand and use homework as an opportunity for formative assessment learning – while you are not in the room (Hattie, 2012). Perhaps the homework paradigm shift for you and your colleagues is to stop calling it “homework”. Certainly “Independent Practice” can be done at the coffee shop, or after school in a classroom at school, or on the bus, or sitting in a hallway, or in the car on the way to practice or a game, or with friends at the library, or at the neighbors house. Independent practice does not have to be done at a specific location… it just has to be done. The work of your collaborative team is to decide, before the unit begins, what and how much homework to provide for additional student independent practice. Your team must decide how you will communicate the homework assignments to students and parents. And your team must decide the role homework plays as part of your classroom protocols. 1. 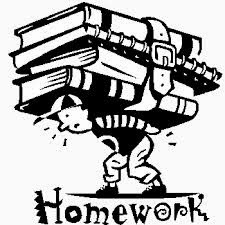 Homework purpose: The primary purpose of homework is to allow the student the opportunity for independent practice on essential learning standards mastered in class. Homework can also provide a chance for the student to practice mathematical tasks that relate to previous learning standards or tasks that reflect prerequisites learning standards for the next unit. 2. Homework length of time: How much time should daily homework take students to complete? How many problems should it entail? Homework should not be lengthy (Cooper, 2008) so care should be given in what is assigned. Take into account the cognitive demand level of the tasks or problems assigned. Think no more than 25-30 minutes K-5 and 35-45 minutes grades 6-12 of student time outside of class each day. 3. 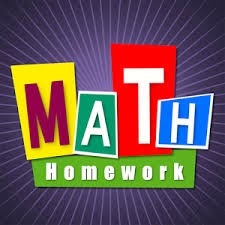 Homework problem set/task selection: Homework that provides review of previous work and helps to prepare for work to come has been linked to improved student achievement as well (Cooper, 2008). Make sure that all tasks/problems assigned are necessary as part of independent practice, ensure there is spaced practice and not massed practice, and make sure that the tasks assigned for homework actually align to the essential learning standards of the unit. 4. Providing Homework answers: When Students are provided answers to the homework problems they can check their solutions against the answers, and if their end result does not match the provided answer, they to rework the problem to find their error. In other words, students receive immediate and formative self-assessed feedback of their work (similar to what happens when playing an electronic game). Moreover, a compelling reason to provide students the answers to the homework in advance of the assignment is the time saved not giving out answers during the class period. 5. The role of homework in class: Once the homework to be assigned is determined (before the unit begins), your collaborative team’s discussion should focus on how the homework will be addressed in class, the type of feedback that will be given to students, and what will occur if students do not complete the homework. If most of the class time the next day is spent going over the homework then you lose the impact of successful independent practice on student learning. Your students may be choosing to wait to do homework problems, precisely because they know you will go over the problems the next day. Since the purpose of homework is independent practice, limit the amount of time given in class to grade, score, or go over the practice problems. These daily and unit processes and procedures should be consistent from teacher to teacher within your collaborative team. Final Thoughts: Why are students expected to do homework? Not because they will receive a grade, not because they hope you will “go over” the problems in class the next day (which makes homework no longer an independent practice exercise), not because they are being punished. Only because your students understand the importance of “formative assessment” and successful practice as a critical aspect of their long term memory learning process. In class students do need your teacher modeling and lots of peer-to-peer guided practice, then out of class, and in a timely fashion, they need to do accurate independent practice with feedback (self-feedback and action or with peers) – well before they are back in your class the next day. I wish you the best in your homework, oops, independent practice, journey. I hope these protocols and guidelines help as you think through this often-difficult aspect of your teaching and leading students! Your blog is by invitation only. How am I supposed to read it? I tried to get to the blog, too, also to hit the 'invitation only' wall. A lot of students nowadays also using assignment writing service this is great solution to save time and buy quality school, college and university paper. I found a lot of useful information on your website, and want to recommend you one great solution assignment writing service. This service is one of the best proven service to get quality assignment. Thanks a lot for a very useful advices, but you know, as for me, I prefer to buy coursework online and spend time on it, anyway thanks for sharing! Crazyforstudy providing one of the best Homework Help Service service with the PHD expert with minimum price. The Online Typing Services is simple. We provide quick, accurate, formatted transcription and typing of many document styles. We can take any document, whether it’s handwritten or typed, and transcribe it perfectly. I really appreciate the kind of topics post here. Thanks for sharing us a great information that is actually helpful.